Microsoft may limit users to just one internet browser on tablets running its new Windows 8 operating system. According to Mozilla, the creator of the popular Firefox browser, Microsoft is going to limit devices running ARM processors to its Internet Explorer browser only. Mozilla talks about this in a blog post and reveals that Microsoft claim the limitation will be enforced due to the security and power requirements of ARM chips – apparently something only the big M themselves can manage properly. ARM-based devices running Windows 8 will offer users a "Windows Classic" and "Metro" environment, with the browser limitation coming only in the Classic version. The Metro version, specially built for apps, will support third-party browsers, but clearly Mozilla is peeved that Microsoft has ring fenced the Classic version for IE only. 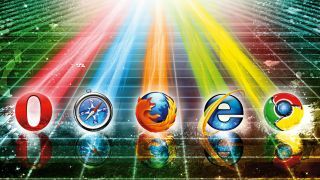 Microsoft has already been in trouble over browser exclusivity, and in 2010 it was forced by the European Commission to offer users a variety of browsers. Its decision to only allow Internet Explorer on the Windows 8 Classic version on ARM devices could land it in hot water again, as we expect rivals such as Firefox, Google Chrome and co. to kick up a fuss.